Picture this: 15 million Euros (about Rs. 122 crore) for a car. Only three to be ever made. And none is available. 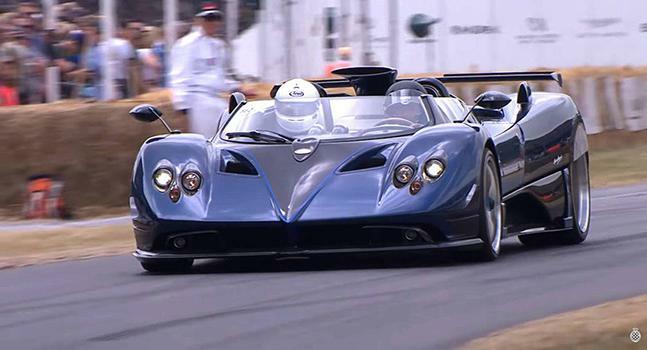 Meet Pagani Zonda HP Barchetta, the world's most expensive car that has rocked the automobile world (for the right reasons). The car looks incredibly pretty, boasts of beastly power and remains a dream - even for richest Sultans. The hypercar has two stunning things about itself - one, its price tag and two, its striking body. The car gets a wraparound windscreen and no actual roof. The body is made using carbon fiber-titanium composite components, giving the Zonda HP Barchetta an overall kerb weight of 1,250kg. 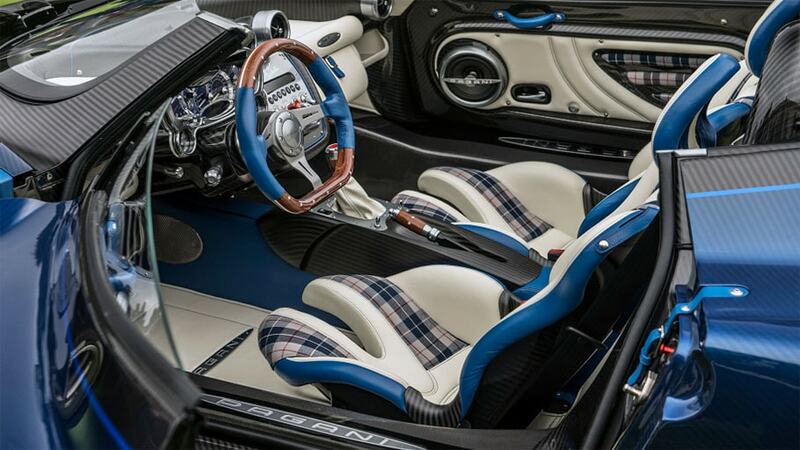 Inside, it is equally stunning with blue and cream upholstery, tartan accents and part-wood steering wheel. The rare Pagani Zonda HP Barchetta hypercar is powered by a 7.3-litre Mercedes-AMG M120 V12 engine which generates a maximum power of 789bhp and a peak torque of about 1100Nm. The motor comes mated to a six-speed manual gearbox, along with a self-locking differential and rear-wheel-drive system. For its braking power, the special Pagani gets 380mm ventilated discs with six-piston front calipers and four-piston calipers at the rear. For suspension, there's double wishbone suspension, coil-spring upper rocker arm, adjustable Ohlins shocks, and an anti-roll bar. The car gets 20-inch front and 21-inch rear wheels, both forged aluminum wheels with gold inlays on the left side and blue inlays on the right. 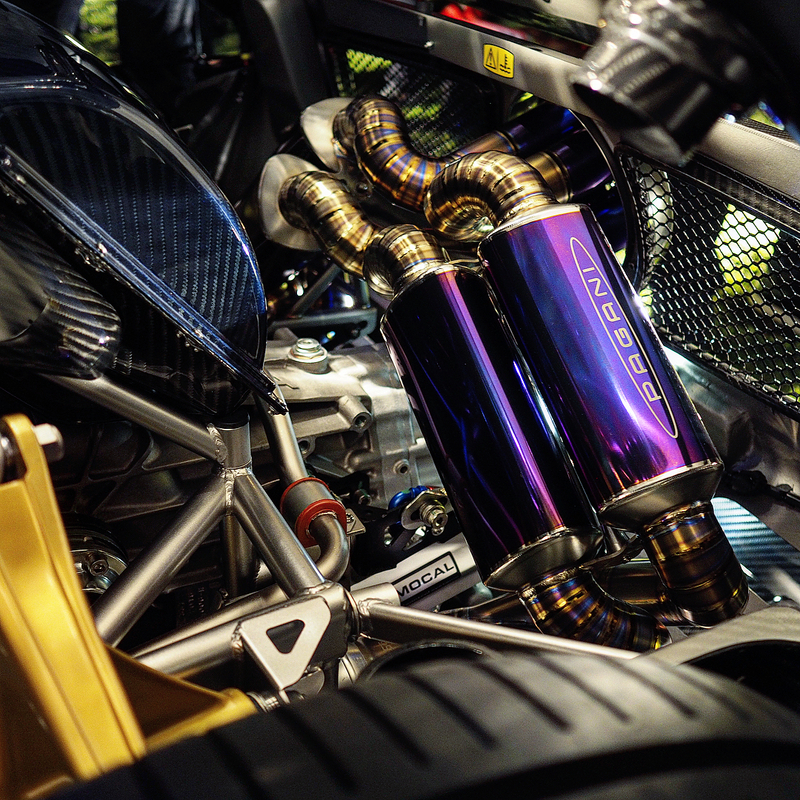 The rarity of this hypercar is because of its exclusivity. As of now, only three Zonda HP Barchetta models are being made. The only model we have seen is currently owned by Pagani's founder Horacio Pagani and the other two (to-be-made) have already been pre-sold.